A rendering of one Austinite's redesigned municipal flag. A local graphic artist created the design using the 5 principles of flag design. Podcaster Roman Mars’ TED Talk on vexillology (the study of flags) was inspired by his own disenchantment with San Francisco's municipal flag. 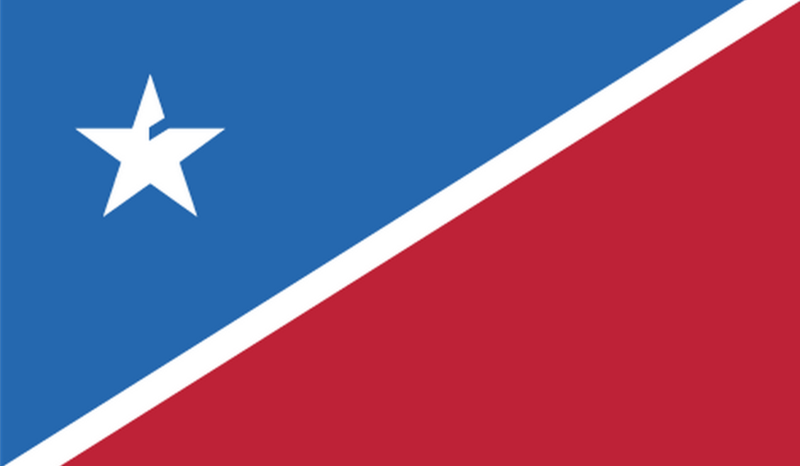 But by way of explanation, Mars' talk also threw shade on Austin’s city flag. Vexillologists refer to flags like Austin's as SOBs, Mars says in the talk: Seals On a Bedsheet. As Mars notes in his talk, municipal flags, more so than country flags, have gained notoriety among vexillologists for being particularly visually offensive. Kriegshauser says that Austin’s guilty of using a small, detailed city seal as the basis for its flag design. "It’s this tiny shield you can barely see on this giant white field," he says. “If you think of a flag as something that needs to be visible over a couple of miles, if we needed to alert someone at sea that we were a safe harbor, our flag wouldn’t do that right now." Austin's city seal sits in the center of the city's flag and is surrounded by an all-white background. Inspired, Kriegshauser began his own redesign, initially just as an artistic exercise. He detailed his thought process behind the new concept on a post at Medium. He says that he wanted his flag to capture the unique spirit of Austin while still giving props to the state of Texas. Graphic designer Mike Kriegshauser tried to design a city flag for Austin based on the five principles of flag design. Canada sets the high water mark for flag design, according to Mars. And he has a “design crush” on the municipal flags of Chicago and Washington, D.C.
Kriegshauser posted a link to his Medium post on the Austin subreddit to solicit feedback from the local community. He says he got “more feedback than he expected." Comments posted in response to Kriegshauser's Austin flag design. Kriegshauser at this point says he doesn’t have a plan for submitting his flag idea to the city. 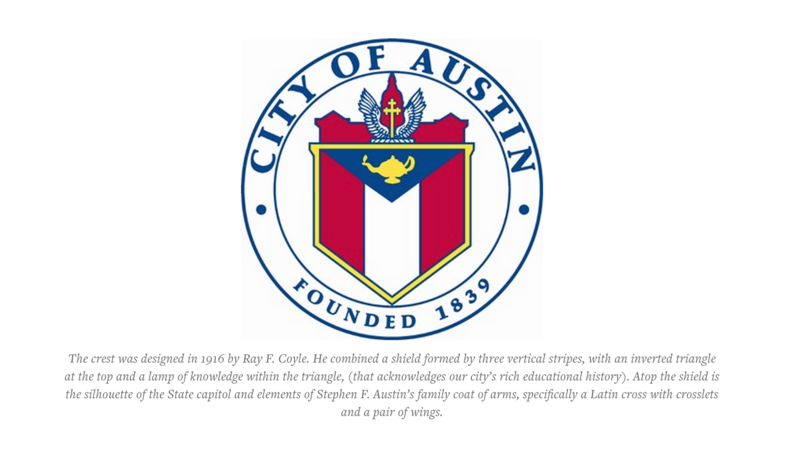 Even if he did, City of Austin officials told KUT that they’re not aware of any official protocol when it comes to the municipal flag, which was last changed in 1919 after a years-long process that at one point involved a 40-person commission. The Economic Development Department spokesperson says that it would likely be something taken up before the city council. Once he’s retooled the design a bit to incorporate Reddit’s opinions, Kriegshauser says he’ll give the design a wider release, soliciting feedback via Twitter. And, he says he plans to tweet at Roman Mars — who's started a petition to redesign San Francisco's flag — to let him know that it was his talk that prompted Kriegshauser's own vexillological endeavor. The proposal calls for spending a total of $3.5 billion, a $39-million increase from last year. The increase in property tax revenue for the city would total about $36 million.